The addition of the “Snapshot” feature in Pokemon GO has created an opportunity for many to create some creative portraits of their Pocket Monsters. Of course, one of the most notable aspects of it was the potential for a stray Smeargle to photobomb your picture. However, for April Fool’s Day, Niantic decided to trade in Smeargle for a couple of faces any Pokemon fan will recognize! Pokemon GO players may notice Ash Ketchum, or even the Ash Cap Pikachu, popping up in their shots. In addition, players will be able to catch that same Pikachu for the first time in over a year! How’s that for an April Fool’s joke? To get the chance to catch this rare spawn, you simply need to open Snapshot in Pokemon GO and take your best pics of your favorite monsters. When you do, there’s a chance you’ll see Ash or Pikachu stealing the spotlight away from your precious creature. If this happens, the Ash Cap Pikachu will subsequently spawn on the map, ready for you to capture. The Pikachu can be shiny as well, giving trainers extra incentive to go out and catch some monsters today. 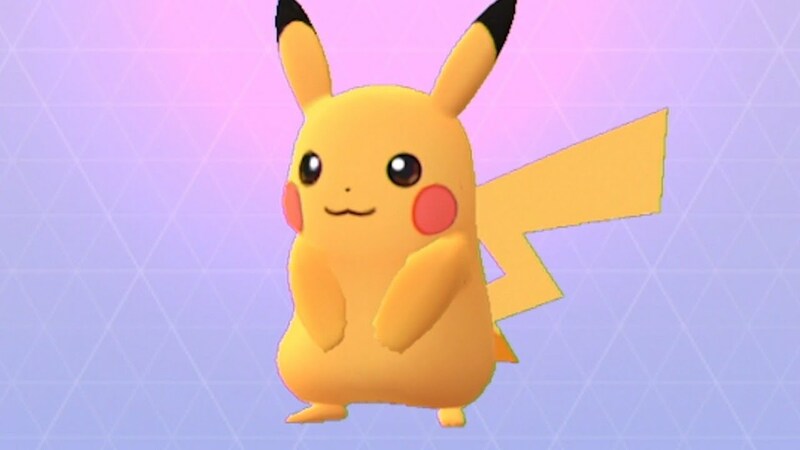 However, reports are that the Ash Cap Pikachu can only be spawned up to five times, so you won’t be able to farm this unique monster. It’s a surprisingly user-friendly April Fool’s Joke, considering many times they are used to deceive fans. However, giving Pokemon GO players a rare monster to catch is certainly a unique take on the April 1st standard. April Fool’s Day is notorious for giving fans many fake Pokemon “leaks,” but this time, this will do nothing but benefit players. Have you gotten a picture with Ash yet? What about nabbing the rare Pikachu for yourself? Do you miss Smeargle? Let us know in the comments!